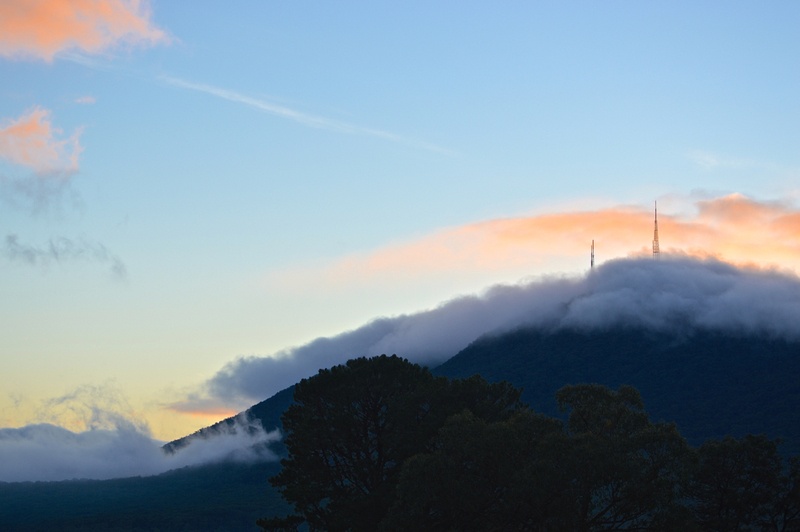 A cold and foggy morning today with low fog and cloud over Mount Dandenong. Mount Dandenong (Aboriginal Woiwurrung language: Corhanwarrabul ) is a mountain that is part of the Dandenong Ranges of the Great Dividing Range, located in the Central Highlands region of Victoria, Australia. 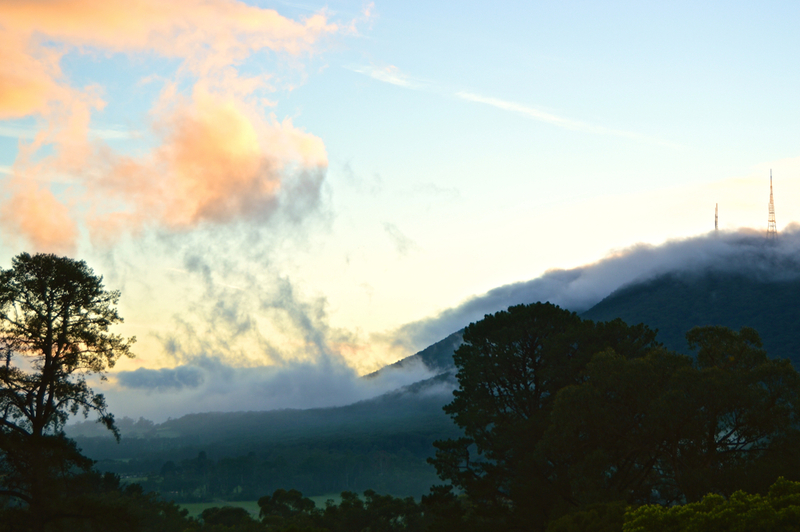 The mountain has an elevation of 633 metres (2,077 ft) AHD and is located approximately 65 kilometres (40 mi) east of Melbourne.